You can right click on a Toolbar and select Edit Items and change the properties from there too. 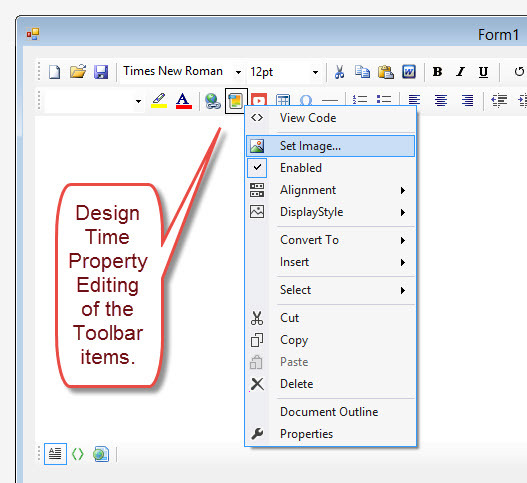 Please note : If you simply delete a Toolbar button from in Design Time, then the toolbar button will appear in Run time. So, in order to hide a button, simply set Visible = False for that button. 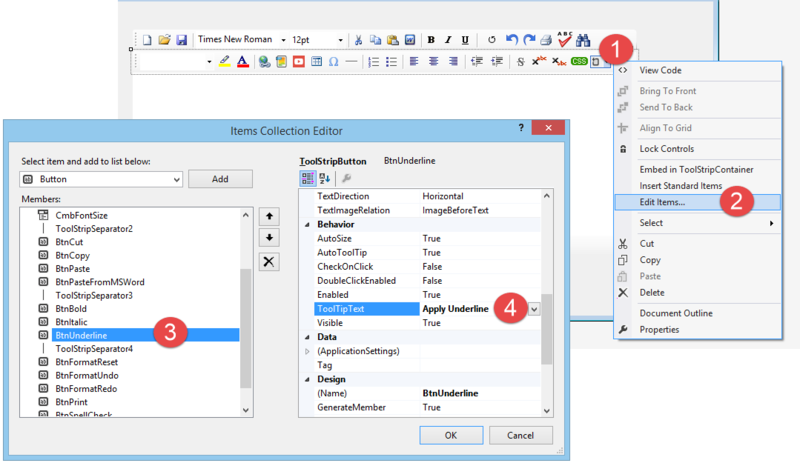 We recommend that you set the property Visible = False in the run time as shown in the following snippet. 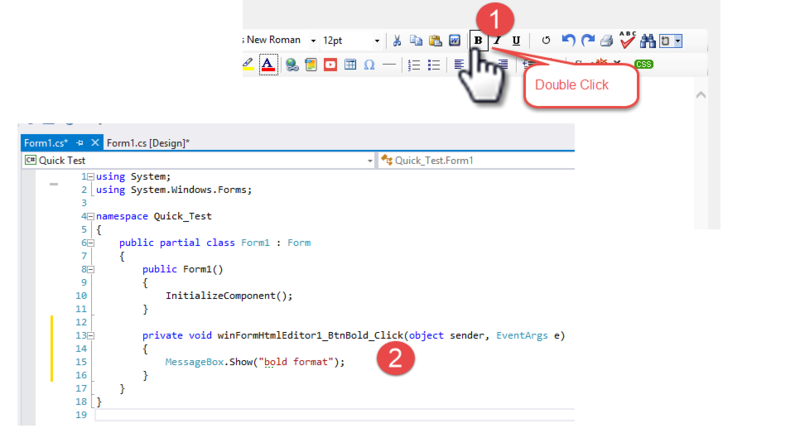 If you want to add additional logic for the Click Event for a toolbar button, you can simply double-click on a button in Design Time and a Click Event handler will be created in the Code Behind File. Sometimes, you may want to completely override the Click Event handler logic so that instead of formatting the text as bold, it will listen to your logic. You may have different logic for Bolding a text. For instance, it is very common need to override the Save Button's logic according to your need. The default logic for Save button click is opening up the File Save Dialog. But, you may need to save the content in your database instead. In that case, you will find all button's Click Event from ToolbarItemOverrider composite property. So, please note the following snippet for overriding the Save Button's Click behavior. You can override the click behavior for any button that is accessible from this ToolbarItemOverrider.ToolbarItems. collection.